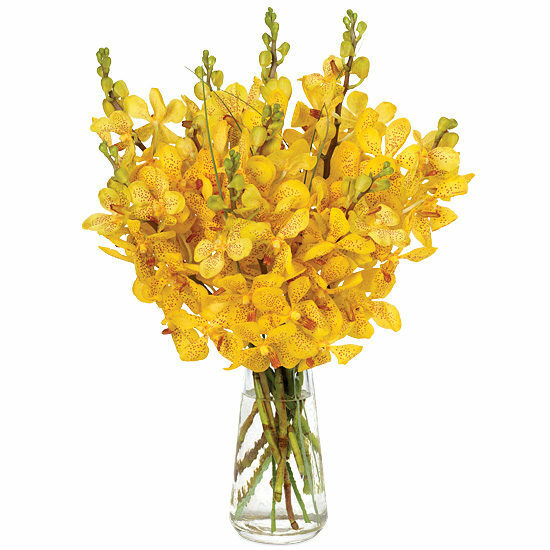 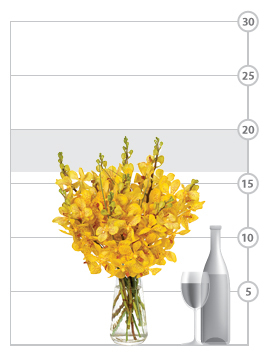 Singing of spring, summer, and sunshine, these brighter than bright orchids convey your special thoughts to anyone you hold dear in the warmest way possible. 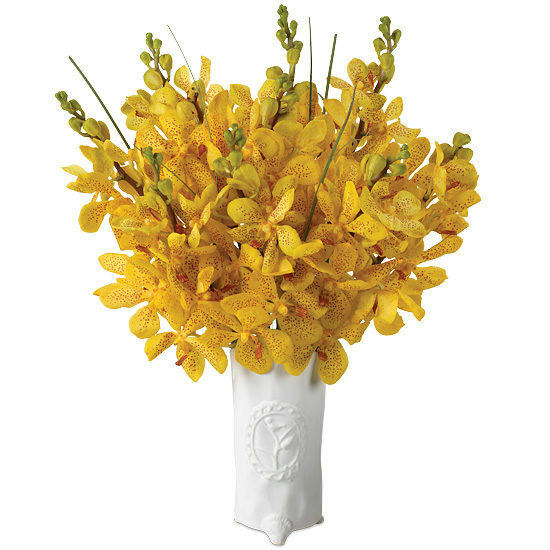 An impressive bouquet of magnificent Mokaras (choose 10 or 20) laden with brilliant yellow petals flecked with orange fan out in a display of pure happiness, while strands of wispy bear grass add even more personality and style. 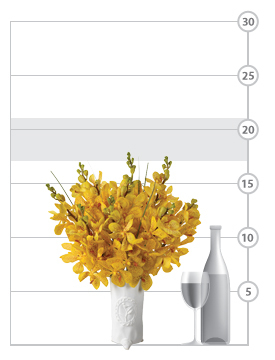 Our white ceramic songbird vase is the perfect vessel for such a bouquet, its design unique, chic, and contemporary yet beautifully uncomplicated.